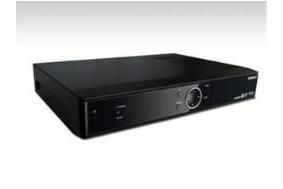 UPDATE: Humax Freeview HD set-top box to launch in 'early 2010' | What Hi-Fi? However, the company says "exact timings and mass volumes are subject to final development and testing with the Digital TV Group". The major marketing push for Freeview HD is expected to be next Easter. "It's only a matter of months until the consumer launch next spring," says Freeview MD Ilse Howling. "Freeview HD equipment will begin going on sale in the shops from early in the New Year, ready for the consumer launch ahead of the World Cup." For more on Freeview HD, read our news story here. Ooh, just had an intriguing invitation from Humax's PR people. We've been invited to a sneak preview of the finished Humax Freeview HD set-top box, the Fox-HD-T2, on December 9th. Apparently it will go on sale in 'early 2010'. No confirmation of tech spec or prices yet, but "the box will be one of the first to allow viewers to watch the Freeview service in Full HD," we're told. We'll also get to see the Humax Foxsat HDR with BBC iPlayer, due out just before Christmas. And there's also a brand-new EPG (electronic programme guide) for the Humax range plus a new web portal. We'll bring you more info on December 9th.